May 5, 2006 - LOVES PARK, Ill. – Saturday is the start of a weekend full of family fun. 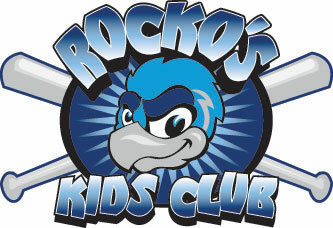 The Rockford RiverHawks kick things off on Saturday with Meet Your Seat Day, 10 a.m.-3 p.m. at RiverHawks Stadium. On Sunday, former big-leaguers Bill Madlock and Ron Kittle join the RiverHawks at Fan Fest 2006, 12-5 p.m. at J.D.’s Sports Bar and Grill, 908 W. Riverside. Saturday’s event is an open house for fans to visit the new stadium and purchase season, mini-season and group plans. The RiverHawks will treat fans to free hot dogs and soft drinks. Kids will get to enjoy the speed-pitch game, bean-bag tossing and the balloon creations of Mr. Steve. Admission and parking are free at Meet Your Seat Day. Fans who purchase full-season ticket plans will receive a free ticket to Fan Fest. Other fans can purchase Fan Fest tickets for $6 at either RiverHawks Stadium or at J.D.’s, by calling 639-9488. Scheduled guests include Madlock, a former Chicago Cub and four-time batting champion, former White Sox outfielder Kittle, the 1983 American League Rookie of the Year, new RiverHawks manager J.D. Arndt and much of the 2006 RiverHawks roster. The autograph session begins at 12:30 p.m. Fans are limited to one autograph, per player, per Fan Fest ticket. Season-ticket buyers, however, receive VIP treatment. They can begin collecting autographs at noon, and may get up to two from each celebrity. The RiverHawks have not announced a date for single-game ticket sales, so the only way to guarantee an Opening Day seat is by purchasing a season ticket, 10-game or group plan. Opening Day at RiverHawks Stadium is 7:05 p.m. Wednesday, May 31. The RiverHawks are members of the Frontier League, a 10-team independent professional baseball league that will play its 14th season in 2006. Advertising, season-ticket and suite information is available by calling the box office at (815) 964-2255. Fans can also visit the RiverHawks online at www.rockfordriverhawks.com.